The world of work has changed. To understand employee engagement and retention today, it’s essential to adopt an employee-centric approach to HR management. EmployeeConnect provides a solution that focuses on employee listening and helps you introduce more transparency in the workplace. Receive a constant stream of data to drive better decisions and position your organisation as an employer of choice. Your employees have the answer, all you need to do is ask. EmployeeConnect provides a platform that allows you to send weekly pulse surveys to get real-time engagement insight into your workforce. Every week, we send an email check-in in the form of a pulse survey that is easy to complete and only takes a few minutes to answer. The tool can be tailored to suit the needs of your organisation, depending on its culture and values. 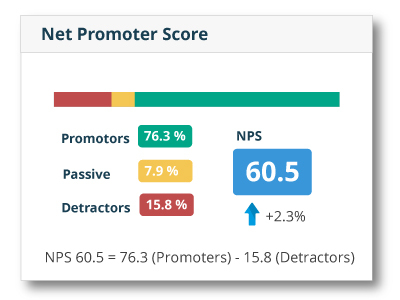 Your engagement score is updated in real-time as new anonymous responses are collected. 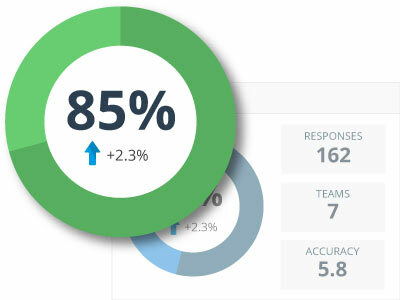 You HR dashboard gives you a breakdown of that score based on the major components of employee engagement so you can spot where issues might lie. How likely are your employee to recommend your organisation as a place to work? This question forms the basis of the eNPS or Employee Net Promoter Score. It is sent to your staff on a quarterly basis to monitor their loyalty and attachment to your brand. There’s so much you can learn about your organisation. But employees can only express themselves freely when they know they’re in a safe place to share their opinions. Survey responses are collected anonymously to optimise response rate and encourage an honest and authentic feedback. Be data driven with access to a complete engagement dashboard which provides live and updated data. Compare the engagement level of your different departments or teams easily to detect any issue early on. Engagement surveys are emailed directly to your employees’ inbox, making it easy to answer and increasing response rate. We understand that each company has a different story. That’s why you can create your own questions and edit our pre-set survey questions to adapt to the culture and values of your organisation. Turn insights into actions with EmployeeConnect. Our HR software comes complete with a suite of modules that allow you to correlate the effect of employee engagement on performance. Our Recognition module involves employees in the engagement process by promoting peer-to-peer encouragements and feedback.